How I set up my own study abroad trip, and saved thousands of dollars along the way. I've been learning Chinese for over a year and a half now. I began taking Chinese classes for my major's foreign language requirement and fell in love with the language. I've always been interested in studying abroad but never really took the opportunity. I'm graduating this May and decided that immediately after graduation, I'm going to spend 3 months in Taiwan to improve my Mandarin and experience living in a foreign country, because I probably won't have the chance again. Although at my university I've been learning the Chinese version of Mandarin and Taiwan's dialect is slightly different, I decided that I wanted to study in Taipei, Taiwan. I began looking at study abroad programs online. I wanted a program that was located in Taipei, focused on language learning, was about 12 weeks in length, and preferrably offered the option to live with a host family. Most of the programs I found cost between $11,000 and $16,000 for a summer, which seemed pretty steep. I decided to look into the option of applying directly to a school instead. Tuition in Taiwan seems pretty cheap compared to here in the states, as well as living costs. I decided to save money and prepare my entire trip myself. While doing my own research about study abroad programs, I found out that first you need a passport. Then you can apply to the school. After that, you use the acceptance letter plus your passport to get a student visa. I also needed to figure out a living arrangement for three months, whether it be living in a dorm, with a host family, or finding an apartment. In order to apply to my school, I needed my passport number, so obtaining a passport was the first step. I had my passport photos taken at Wal-Mart for about $8 and then applied at my university's passport office. It was really convenient and I didn't even need to wait in line. 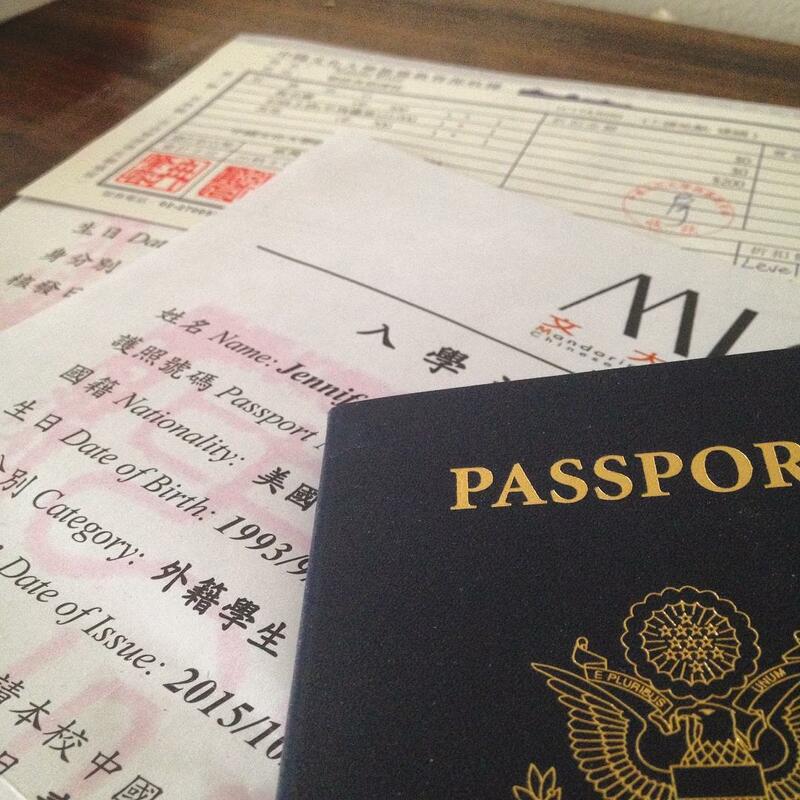 The total fees were around $120, and about 6 weeks later, my passport arrived in the mail. Deciding which Mandarin school I wanted to attend was the most difficult step of the process! I began scouring the web for Mandarin schools in Taiwan and doing a lot of research. Of course, some programs are better than others, but as long the school is pretty reputable, most programs learn about the same things and a lot about the quality of a class can depend on the teacher. I compiled a huge list of programs with some pros and cons about each one. None of the programs had exactly everything I wanted, but I was happy enough with what I had found. I did a search on Reddit and came across a comment about Mandarin Learning Center in Taipei. I hadn't heard of this school before, and it seemed to have everything I wanted. The length of the program is about 10 weeks, there was a homestay option, and the price was very reasonable too. I messaged back and forth with the Reddit comment's author and asked him several questions about his experience at MLC. He had nothing but positive things to say about his experience there. In addition, he said that while he was there, they split up the different classes so that no class had two people from the same country, and most of the students come from Southeast Asia. This is great for not relying on English when speaking with your classmates and improving Chinese speaking skills, as well as making interesting friends from around the world. Next, I applied to MLC and took a Mandarin placement test. Within a few days I received the email that I had been accepted. I then paid the $700 tuition and then received my official acceptance letter in the mail a few weeks later. While looking up information on Taiwan visas, I found some conflicting information. Some websites stated that you could stay in Taiwan for 30 days without a visa, while some said the limit was 90 days. 90 days would be no problem for me, since my course is only 10 weeks long. I ended up emailing MLC to ask if I needed a visa and they said that I didn't, as long as I stayed less than 90 days, which made things much easier! I decided to stay with a host family because it would give me more of a chance to rely on Chinese to communicate and also learn about Taiwanese culture. I applied for a host family, and within a week I received information about them. I sent them an email (which was nerve-racking in its own way.. especially because I typed it in traditional Chinese characters!) and received a reply right away. They seem super nice and I'm excited to stay with them! The cost will be around $400 a month. My plane tickets were the most expensive cost. I bought them early while they were cheaper, but paid extra for more leg room (being 6'5). The total cost round trip ended up being about $1,300. Compared to even the cheaper study abroad programs, I saved a lot of money by organizing my study abroad trip myself. Overall, I spent around $3300 instead of $11,00 to $16,000!